Your new baby is the center of your life. There is nothing unusual about that. Babies consume a lot of your life’s time and are truly wonderful. But sometimes you definitely need a ME time. Do you feel you don’t get a time to take a shower ? It’s the biggest challenge for a new mother, and almost all of us have experienced it. Having a child in your life turns your life completely upside down. This is the new star of your life. 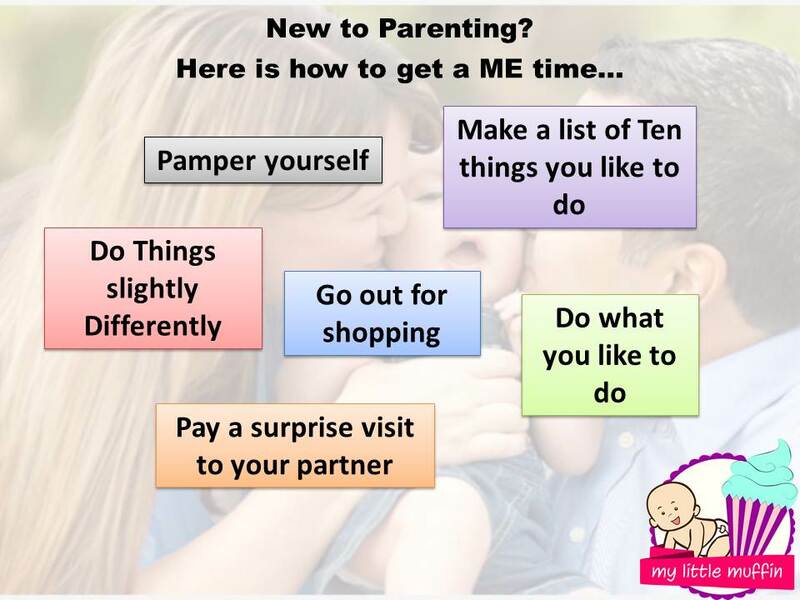 Rather than having a ME time like before you definitely end up spending lovely time with your little one. But that doesn’t mean you shouldn’t, or can’t. Identify what you like doing, something that has always been a stress buster for you, and do it when your baby sleeps. Yes, I agree that this is not what the world advises you to do. Everyone says, sleep when the baby sleeps. But When ,When will you get time for yourself, If you are actually sleeping when you have some time off??? Accept the fact that the things will not be the same. Don’t be persistent about trying to do things exactly how you used to do them before. Find a variant that works now that you’ve got a baby, since it’s better to do things slightly differently, than to not do them at all. Make a list of 10 things you like to do. Sit down, and think about a way you can still do it, or something very similar to it. This list should contain things that won’t take more time than an hour. Now put this up on your cupboard or stick it up on the refrigerator. And when your baby is asleep and you feel like doing it, do them one at a time. Men usually still have a social life after having a baby, and the reason for that is that they ideally are still working. Let your husband help you in making it happen for you too, go for shopping or a drive or a lunch with friends. This one is my favorite. If your partner doesn’t work too far away, go to his work place when he’s having lunch, hand over the baby for an hour and go and do stuff on your own. Pamper yourself. Do nothing, no household work, no laundry, no cleaning up. Just spend the day in your bed with your favorite book, or watch a movie or listen to music, yes of course with your baby besides you. Hope these tricks, help you find some ME time.